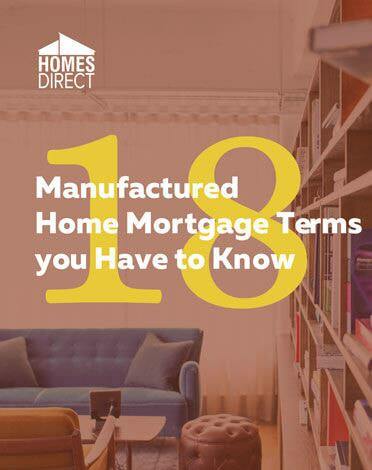 Interview potential financing sources to be sure that they finance manufactured homes in the area you want to have a manufactured home installed. Some financing sources have identified specific geographical regions where they do not provide financing. It is a good idea to ask about their reason. 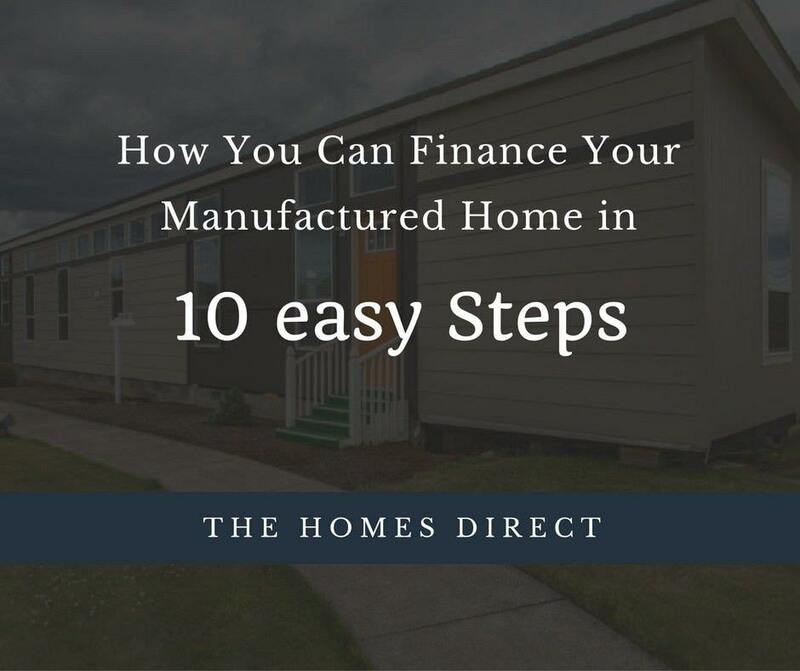 Equally important is identifying lenders who will finance the manufactured home of your choice. 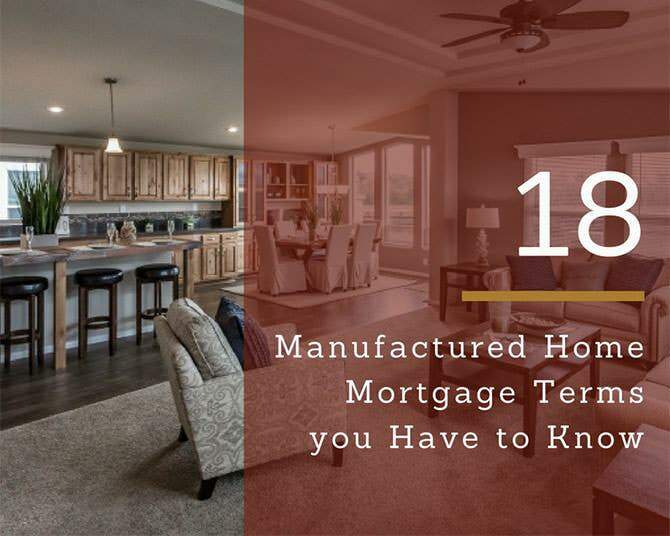 Some manufacturers have lending sources which will only finance homes built by that manufacturer. Different lenders will have different qualifying criteria and although the difference may vary only slightly, you should be aware of it. The lenders want your business, so they make it as easy as possible for you to qualify with their company. Lenders will work with you as much as possible to help you obtain the loan you need. Carefully examine your finances and make sure the lot you own is acceptable to the lender. However, FHA loans require a lower down payment. FHA loans are available with 3.5% down. Other factors will influence the amount of down payment that a lender will require. For example, your credit history and your credit score will be important considerations to a lender when deciding how much money they want for a down payment. It is helpful if you have a savings account to which you make monthly deposits. A 401(k) account will work as will a bank savings account or a money market account. The objective is to demonstrate that you are not using all of your income for living expenses and that you have income available beyond what you need for monthly expenses to pay for the added costs involved in owning a home. The best loan will be available to people who have systematically saved for their down payment. Of course, lottery winnings are okay, but be wary of gift money. You should talk with the lender if you plan to use money given to you by relatives. Lenders have criteria for determining whether a location is a good investment. They may want to see soil studies and the drainage history. They want to see that a survey has been conducted. The location should not be next to a major highway or an active rail line. The lot should have ready access to the water, sewer, and electrical services. A septic tank will not take you out of running, but you will need to have a perc test done so the lender can see that the lot is usable for a living. Check your credit history and your credit scores that are compiled with the three major credit reporting bureaus. LexisNexis Risk Solutions is a fourth credit reporting company, and it also includes your history of filing auto and homeowners claims. This company also records serious traffic violations. You may find errors that need to be corrected before you apply for a loan. You are entitled by federal law to receive one free credit report each year. Follow the reporting agencies guidelines for filing an error claim. A credit bureau requires 30 days to verify data that you believe to be wrong. Make sure the credit bureaus have recorded your correct employment record and address history. Lenders are skeptical of borrowers that change jobs and move frequently. Prepare an explanation if you do change jobs frequently. Many people work seasonal employment or contract assignments which are very typical occupations. Self-employed people can obtain a loan if they can document the work they do, the frequency with which they do the work, and the compensation received. Most lenders will ask for two years of income tax returns, so it is important that your tax returns support your stated income. Step 4. Do you have enough funds for the down payment? It is essential to understand the amount of down payment you will be required to make and where you can get the funds if you don't have enough. The amount of down payment will depend largely on the lender and whether the mortgage is an FHA insured mortgage. Veterans may be eligible for a VA loan with no money down. FHA borrowers will likely be able to put 3.5% down. The amount can range up to 20% and higher if you are a credit risk. Most lenders will only make FHA insured loans because this loan offers the lender protection from loss due to default by the borrower. This means you may not have much choice but to get an FHA insured loan. FHA will have requirements for the location of the lot. You must own the lot without any lien against it. A conventional loan may be available to a person with a good credit. They are usually not expected to put more than 20% down, and occasionally less. Lenders gage the amount of down payment you will be required to make by your credit profile, the location of the lot, and their risk experience which means how many loans went into default. This means that down payments may vary between lenders. Conventional loan lenders may not require that you own the lot at the time of applying for a mortgage, but if you don't own the lot you must at least have the lot identified and then the cost of the lot can be included in the loan. Check with the lender about any timing requirements for laying the foundation. If you do have enough money for the down payment, you might explain your circumstances to the lender and ask for permission to use borrowed funds. Often a relative will step up and loan the difference. You can't be assured that borrowed funds will be acceptable. The best plan is to talk with lenders before you do anything else and explain your situation. 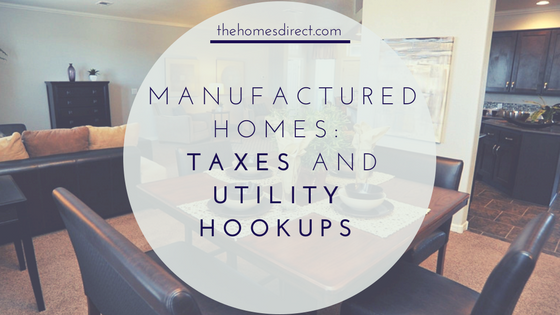 This involves determining the monthly payment including taxes and property insurance that your budget can handle. Your lender can help you determine this amount with reasonable accuracy. The taxes and property insurance may be a little more difficult to determine accurately, but you can get a useful estimate. This ratio is developed by dividing the total monthly debt payments by the amount of gross monthly income. For example, if your total monthly debt payments are $600 and your gross monthly income is $3,000, the ratio would be determined by dividing $600 by $3,000 with the result being 20%. Many lenders look at an acceptable ratio as being less than 32%. However, each lender has specific criteria, and FHA and VA-insured loans require the ratio to be 30% or less. The home structure must be permanently set on a lot you own. Every locality has requirements that must be met by the manufacturer before the home can be installed. Every lender will demand quality and code compliance. The lender can tell you whether the manufacturer meets their requirements. You should also check with the local governing body to make sure the manufacturer is acceptable. You may be required to submit six months of bank statements and two months of paycheck records. You may be asked to obtain a record of payments from your utility companies. Keep in mind that you will also be required to sign a release authorizing the lender to obtain income tax transcripts from the IRS. The copies of your tax filings will help start the lending process, but the lender will also request official IRS transcripts of your tax filings. You will find the process to be less daunting than it may appear. You will also find lenders very willing to help you, but you can do a lot to help yourself too.